Martin Shkreli, the infamous face of outrageous drug price hikes, was back in federal court Thursday. Shkreli faces eight criminal counts, including two counts of securities fraud and various conspiracy charges, for allegedly deceiving investors about his disastrous financial performance as a hedge fund portfolio manager. But he won't have to stand trial for at least another year. A federal judge in Brooklyn set a date of June 26, 2017. Shkreli and his co-defendant, Evan Greebel, allegedly lied to investors about the disastrous performance of the hedge funds Elea Capital Management, MSMB Capital Management and MSMB Healthcare, from 2006 to 2012. They're also accused of illegally siphoning money from Retrophin (RTRX), a biopharma company where Shkreli was CEO, to pay off the bad market bets made by MSMB funds. Shkreli, who is represented by high profile lawyer Ben Brafman, has pleaded not guilty. Greebel faces identical charges and has also pleaded not guilty. He said that he expects to spend at least $10 million on his legal defense for the trial. "Once it starts, it's going to be mayhem," he said in June. "It's going to be like the [WWE pay-for-view ] Royal Rumble. I want to sell tickets." Retrophin eventually sued its former CEO, accusing him of misusing the company's cash and stock. Shkreli has denied the accusations and went on to form a new company called Turing Pharmaceuticals. He also became CEO of the struggling cancer drug biotech KaloBios. He left those companies after he was arrested in December. Shkreli became infamous last year, when he raised the price of the AIDS drug Daraprim from $13.50 a pill to $750. He defended the move as necessary to maintain profits. But he was condemned by everyone from Donald Trump and Hillary Clinton to Ghostface Killa of Wu Tang Clan, from whom he'd bought a gold album for $2 million. 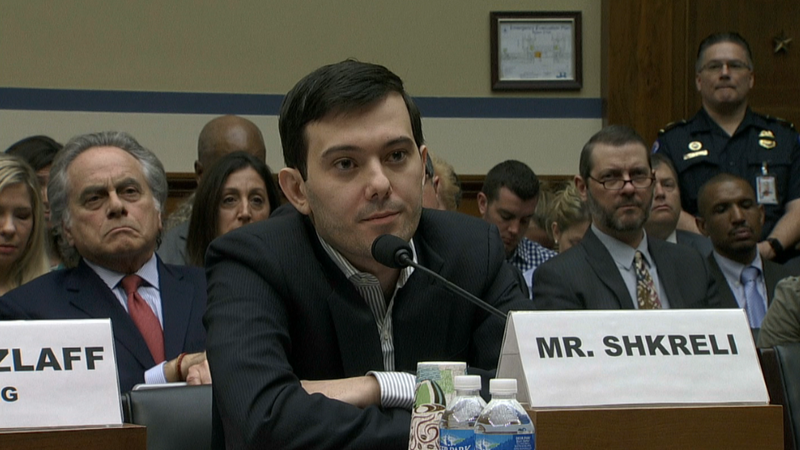 Shkreli clearly relishes the attention. Since his indictment, Shkreli has tweeted incessantly, livestreamed himself playing videogames in his pajamas while bantering with fans, and Periscoped his wanderings about New York. He appeared before Congress in February to testify about drug prices, but he invoked the Fifth Amendment and spent much of his time smirking and rolling his eyes. He blasted the "imbecile" lawmakers on Twitter (TWTR). Brafman, who has defended celebrities including Michael Jackson and Jay-Z, told CNBC earlier this year that was "a regrettable choice of words." But he also said his client had been "vilified and that's unfair."